XLSX, XLSM or XLSB: Which File Type Is the Best for You? Probably 99% of all Excel workbooks are saved in the XLSX file type these days. But there are various other file extensions available: For example XLSM, XLSB or “older” Excel users might still remember the XLS file type. What are the differences of these file types? And even more important: Which one should you use? 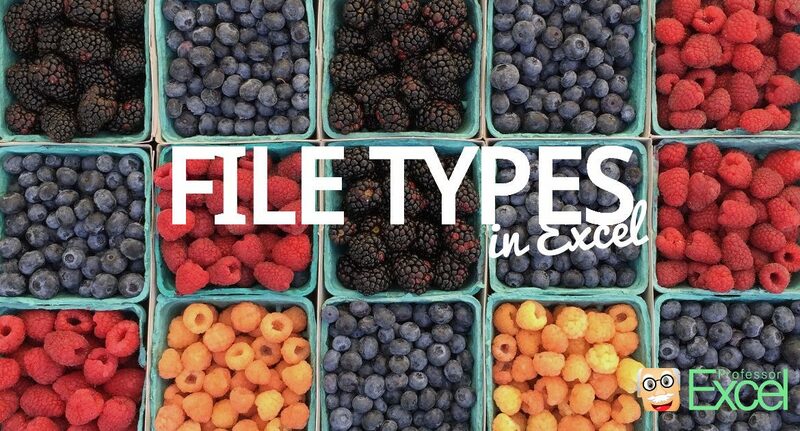 Which file type should you use? Excel provides 29 different file types when you save your Excel workbook. 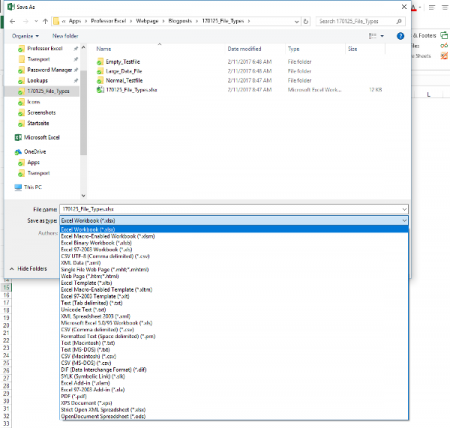 When you save an Excel workbook for the first time or use the “Save As” function, you are asked for a folder, file name as well as the file type. By default, Excel suggests the XLSX file type (unless your file doesn’t have VBA macros). The window looks similar to the screenshot on the right side. So which file type are you going to use? The answer – like so often: It depends. Before we conclude in a decision tree, we we take a look at the most important file extensions in Excel with their advantages and disadvantages first. The default XML-based file format for Excel 2007-2013. Cannot store Microsoft Visual Basic for Applications (VBA) macro code […]. Most of the time you use the XLSX format: It’s save (can’t store malicious code), has the maximum number of rows and columns and is best known. 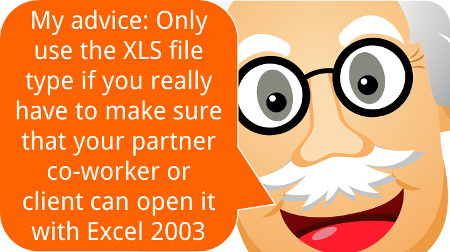 XLSX is available since Excel 2007 and replaces the old XLS file type. It uses the open XML standard so which is documented well. The default file format and because of that the best known and widest spread file type. Can use up to 2^20 (1048576) rows and 2^14 (=16384) columns. Uses the open file format and is in general accessible with other applications. Secure because it can’t save VBA macros. Can use and save all the functions available in Excel. A little bit contradicting: But not being able to include VBA macros can be an advantage and disadvantage at the same time. Needs more disk space than other file formats (e.g. XLSB). Can’t be opened with Excel versions before 2003 (e.g. 2003, at least without any further conversion of Excel extension/ add-in). The XLS file type has been the default Excel file extension and format before Excel 2007. In Excel 2007, XLSX replaced the XLS format. Therefore, XLS is kind of outdated right now. In the daily life you won’t find it often any more. But some data base tools still export data as XLS files. The XLS file type has some disadvantages towards the newer file types XLSX or XLSM: It’s rather unsafe as it can contain VBA macros with malicious code. Also, it needs more disk space than the other file types and at the same time has less rows and columns. On the other side the only advantage: You can easily open XLS files with older versions of Excel. Can be opened with Excel versions before 2007 (e.g. 2003). Unsafe as it can contain VBA macros. Needs more disk space than most of the other file formats (e.g. XLSX, XLSB). Can’t use all newer Excel functions, e.g. formulas or functionality (you will be warned when saving an XLS file though). Can only use up to 65,536 (2^16) rows and 256 (2^8) rows. 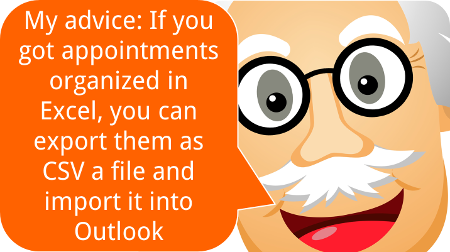 If you include VBA macros in your XLSX file, you will be asked to change the file extension to XLSM. Only that way you can save your macro within the Excel file (there are other file types possible, e.g. XLSB – but you can’t use XLSX for VBA macros). Therefore, it has most of the advantages and disadvantages of the XLSX file type. Positive: You can immediately identify Excel files with VBA macros. The default Excel file type for workbooks with VBA macros. Uses the open file format and is therefore accessible with other applications. Uses the open XML standard. Unsafe: Can contain malicious code within the VBA part. Many people don’t know that there is an actual alternative to the XLSX and XLSM file type: The XLSB file extension. 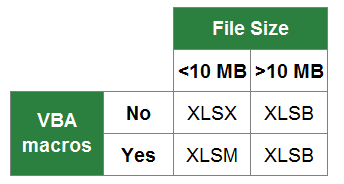 XLSB files store the data a little bit different than the XLSX or XLSM file types: They don’t use the XLM file structure. Instead, XLSB files try to save disk space because the data is stored in the binary structure. The main difference: Binary files are computer- but not human-readable. For more information on binary files in general, please refer to this Wikipedia entry. The main disadvantage: Binary Excel files can contain VBA macros. So unless you don’t know the origin of a file, please consider well before opening them. Besides that: All the other disadvantages seem minor. Faster opening and closing of files. Formulas with more than 8192 characters allowed. Security: Files can contain VBA code whereas XLSX files can’t. You can’t change the Excel ribbon. Some third party tools (e.g. OpenOffice) might not be able to open your file. You can’t open your files with Excel 2003 or earlier (which nowadays should not be a problem any more…). Not very well known. So people might get confused receiving XLSB files from you. CSV stands for comma separated values. These files are basically plain text – so there are no formulas or formatting. CSV is often used for data exchange. 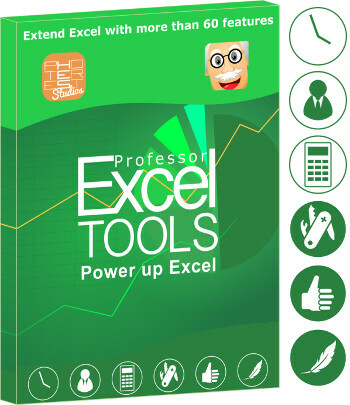 Excel provides the functionality to import or even directly open CSV files. The basic application for CSV files: Import or export data. Data base programs often export data as CSV files. Also if you want to transport Excel data into a database program, often the CSV file type works. No code or macros possible and therefore save to open. CSV files are basically text documents and therefore can’t contain formulas or formatting, pure data. No more than one “worksheet”. ODS stands for Open Document Spreadsheet. The file type is designed to work on both Excel and other applications, e.g. LibreOffice. From the Excel point of view, ODS doesn’t support all the features. Text and data is usually saved well though. But formatting and many other features (for example charts, tables, conditional formatting) might run into problems. Can be opened in Excel and LibreOffice. You might lose formatting or features which are not supported. For a detailed lists of the features supported, please refer to this website. The Strict variant has less support for backwards compatibility when converting documents from older formats. Additionally: Opening in other applications than Excel might work better. Some backward compatibility problems might occur. As you’ve probably heard of PDF files, we won’t go much into detail here. PDF stands for portable document format and has the reputation of not easily being manipulated. Also, it’s quite save to say that how a PDF file looks on your computer, it will most probably look like this on most other computers. The recipient of your file should not edit it any more. Formatting should be exactly preserved. There is no database included, just the summarized results. That could be the case if somebody wants to check your results on an iPad or a similar device. 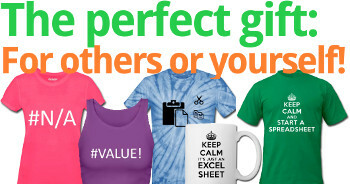 But: In many cases it would be professional (and nice) to also send at least parts of your Excel file. That way, your recipient could at least take a look at the calculation process. Static, therefore contents can not (easily) be manipulated. The document always look the same. Formulas etc. will be lost. Difficult (and troublesome) to further edit the file. (Depending on the contents) large file size. XLAM is the file extension for Excel add-ins. 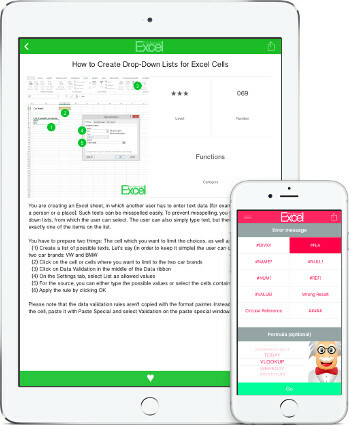 Also our add-ins (for example the popular “Professor Excel Tools“) are XLAM files. They can contain VBA macros, worksheets as well as forms, images and individual ribbons. If you double click on such file, it will open in Excel and you can use the funcationality of the add-in. But next time you open Excel again, it won’t be available any longer. You rather have to enable the add-in within the options (File –> Options –> Add-Ins). As the XLAM file type is not really an alternative for all the other file extensions above, we skip the advantages and disadvantages. 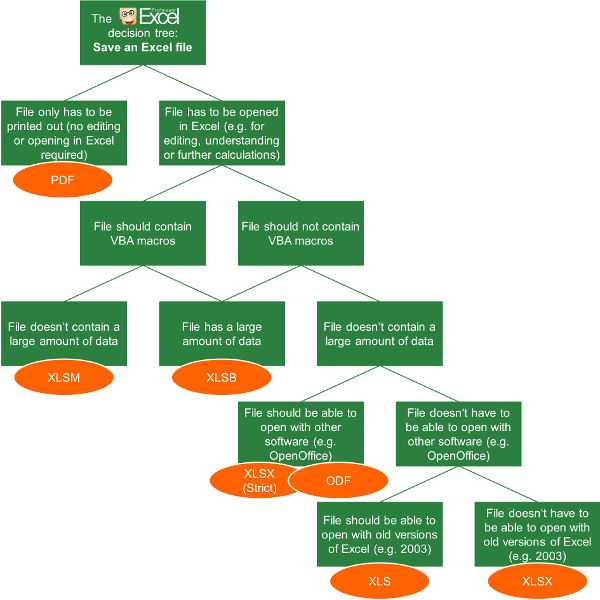 In order to define the best file type for your Excel workbook, please follow the decision tree. 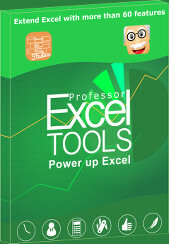 Follow the Professor Excel decision tree for finding the best file type for your Excel workbook. The first question: Do you just want to display your results only? Then you could also consider the PDF format. 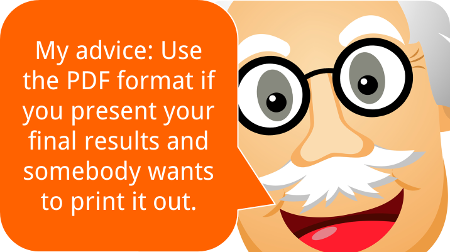 But if the recipient of your work wants to edit or follow up your calculations, you shouldn’t use PDF. Does your file contain VBA macros? If yes, choose XLSB if you have a large file. 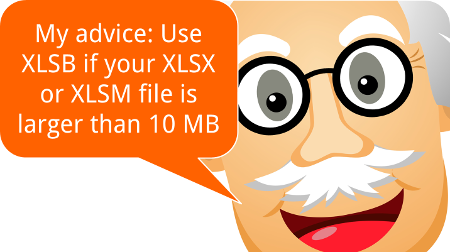 Choose XLSM for a file size smaller than app. 10 MB. If no and you got a large file (larger than app. 10 MB), also choose XLSB. If no (you don’t have macros) and your file small, follow the tree on the right hand side. The lower two levels of the decision tree are just about compatibility: If you want to open and edit your workbook with another software, choose the strict XLSX or ODF format. If you want to make sure that you can open it with versions of Excel 2003 or earlier, go for XLS. In conclusion, you can distill a quite short table (if you don’t need to consider old file types and other applications as LibreOffice). You just have to answer two questions: Do you need VBA macros and do you work with a large amount of data? Wonderful information on Excel. It answered many questions I have had for a long time and didn’t know where to find the answers. You pulled a lot on information together in a succinct presentation. Thanks Much!!! I am surprised that your pros/cons don’t list any performance issues with binary files. I can’t have any large pivot tables in a binary file or it freezes up.